Essential System Solutions (ESS) is a single-source technology provider of traditional, mobile, and cloud-based Point of Sale systems for restaurants, hospitality, and retail establishments. Since the needs of each business are different, our award-winning solutions are customizable for your unique requirements and specifications. ESS also offers a vast selection of hardware equipment to meet a wide variety of your business needs. Known for our outstanding and professional service, our expert technicians are available to fix any kind of POS equipment. One Call To One Company And Problem Solved! 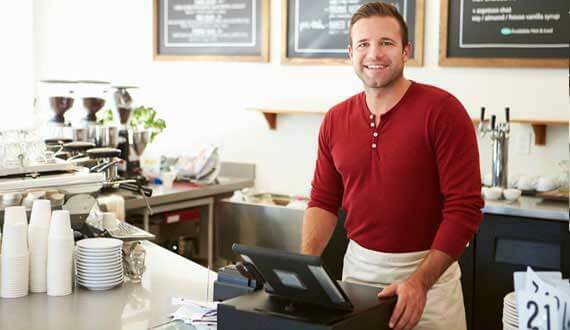 ESS can design, install, and maintain all POS systems and provides seamless integration. We’ve spent 20 years servicing over 20,000 sites nationwide and are ready to put our knowledge to work for your business. With unparalleled support and after-purchase training for our clients, ESS helps your business use your system to its fullest capabilities. The result is greater efficiency, accuracy, and increased profits! If your business already has in-house capabilities, but you’re looking for additional services, we can work with you to find the best options to enhance your current system. No matter what you’re looking for, ESS has a wide variety of products and services to fit the needs of your business. Credit card processing, camera systems, drive-thru headsets, digital signage, and subscription-based music systems are just a few of the value-added services we offer. Our systems reduce your costs by increasing your efficiency. We offer entire POS solutions to increase business growth and efficiency, including customizable hardware and software, installation, service, and repair. A more “a la carte” approach for businesses, we work with you to find the right solutions to fit the scope of your project. ESS stocks a large selection of new, used and refurbished parts and equipment. Whatever your budget, we can guide you through selecting the most effective solutions for your business. With a professional and knowledgeable staff, ESS has earned a reputation as a leader in system roll-outs and service. Whether your company has one location or thousands, is a local business or national franchise, we can tailor a roll-out package designed specifically for your needs. For maximum flexibility when it comes to maintenance issues, we can come to your business or you can bring your equipment directly to us for repair.